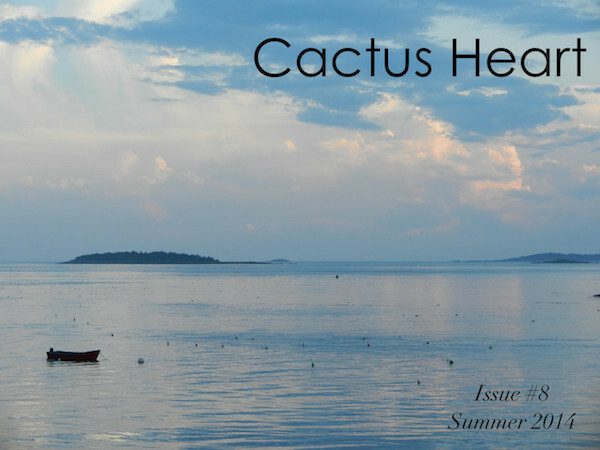 New Pub: “Real Monsters” in Cactus Heart issue #8! Scylla and Charybdis are sea monsters, but they didn’t start that way. In “Real Monsters,” Scylla tells her story. In Scylla’s version of events, what lies between Scylla and Charybdis is not death and destruction but a radical and vibrant love story. “Real Monsters” is a 3,600 word short story that uses Greek myth to interrogate what some conceive of as monstrous forms of love. Cactus Heart is “devoted to spiny writing & art—sharp, relentless, coursing with energy and able to thrive in the harshest of places, all while maintaining a vulnerable, succulent interior”, and I believe “Real Monsters” fits that description well. This story was written fast: in a single sitting at an out-of-the-way Starbucks. In the preceding days, I’d had more than my fair share of brushes with homophobia and transphobia. I’d been put through the emotional wringer, and I was angry. This story poured out of me, a self-validation, an expression of unreserved and defiant queerness. I am glad it’s found a home. This entry was posted in announcements, B's Short Fiction, Cactus Heart, Publishing, REAL MONSTERS and tagged cactus heart, greek myth, lesbian fiction, lgbt fiction, mythology, queer fiction, short story by brsanders. Bookmark the permalink.